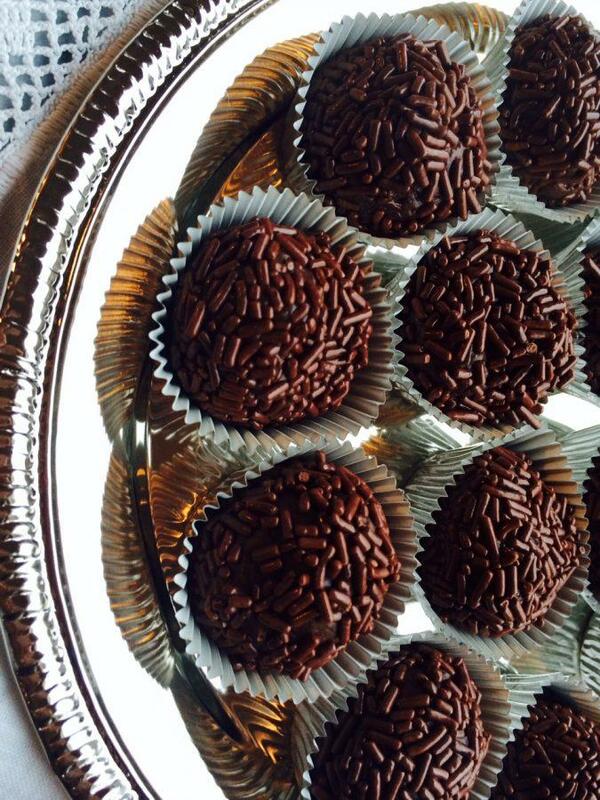 Although this iconic Brazilian dessert caught fire during the 1940’s when a brigadier-a kind of military admiral-was running for president in Brazil, brigadeiros have continued to remain common in Brazilian households to this day. This simple sweet is commonly cooked for birthdays-often served in little cupcake holders, but many people eat the delicacy straight out of the pot. Since they are quite filling, people generally do not eat more than 3 in one sitting. It’s ready for the next step if it’s thick and the edges of the mix start turning a bit white.